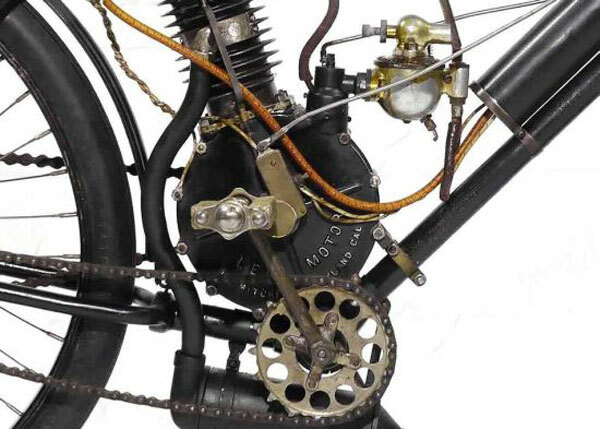 We already wrote about historic rare 1902 Rambler Model B, one of the one the first motorcycles that will be offered as highlight at Bonhams 3rd annual Las Vegas Motorcycle Auction. 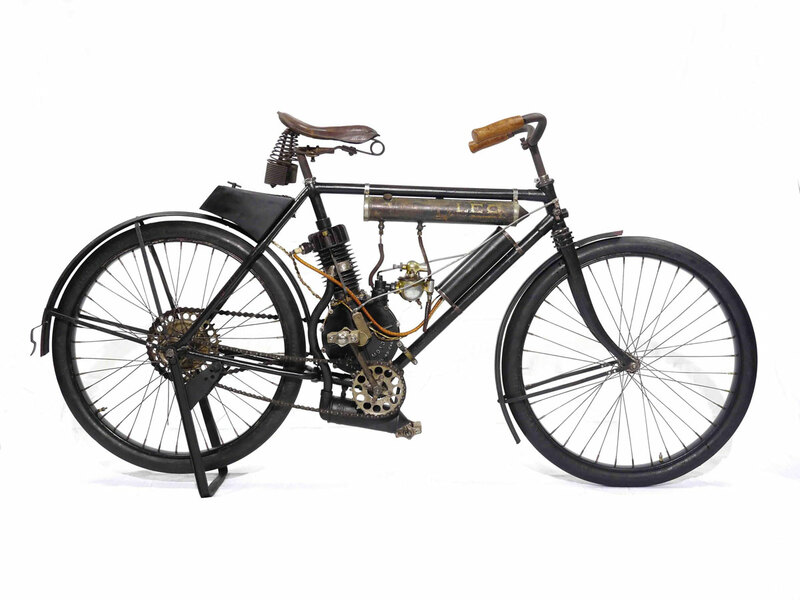 Now, one more, also historic and recently discovered example will join as top lot at upcoming Las Vegas auction – the sole surviving example of a 1905 Leo Two-Cycle. 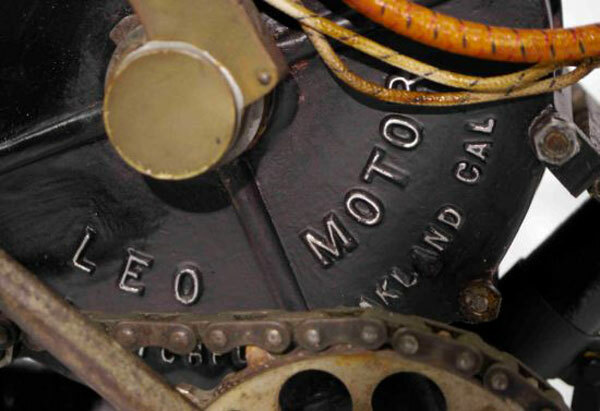 Made by the L.A. Mitchell Motor Company of Oakland, California, this 107 year-old motorcycle was hidden and forgotten for decades, in the warehouse of a New England museum, where was recently discovered in extraordinary condition. 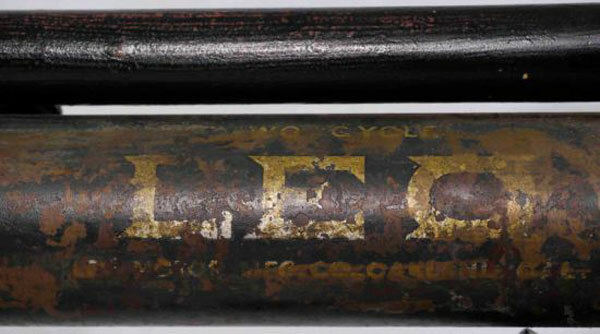 With its freely-turning motor, strong compression and original components, such as spokes and rims, Thor pedals and Troxel leather saddle, this extremely rare piece is also historically significant due to three facts: Vehicles of California manufacture are exceedingly uncommon, Leo is thought to have been produced for just one year, 1905, and this now represents perhaps the earliest surviving example of an American two-stroke motorcycle. These two historic motorcycles will be offered alongside the recently announced collection of Rennsport BMWs, including the very rare 1939 Kompressor and 1970 Husqvarna 400 Cross off-road motorcycle once owned and ridden by Steve McQueen – at Bonhams 3rd annual Las Vegas Motorcycle Auction on Thursday 10th January at Bally’s Hotel & Casino on The Strip.